Light switches, as simple a product as they may seem, have undergone a few technological enhancements over the years. First, there were just good old fashion light switches. Then came “The Clapper.” Everyone knows the tune: “Clap on, clap off, The Clapper.” But now we have smart light switches. The top smart light switch can bring a whole new level of convenience to whichever room you put it in and you’ll immediately feel the future in your own home. 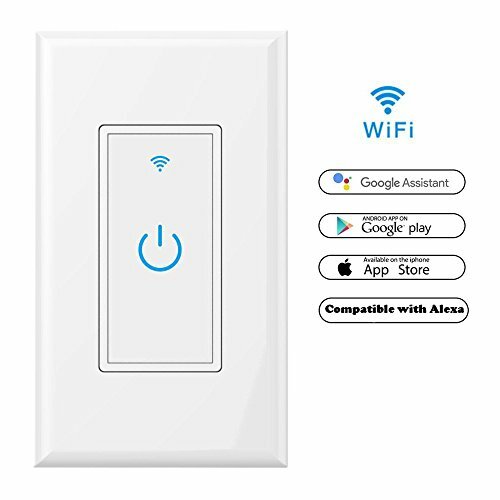 2 Top Rated Smart Wifi Light Switch – Which one is the Best? While we do love every switch that is on this page, there is most definitely one that stands out among the rest. 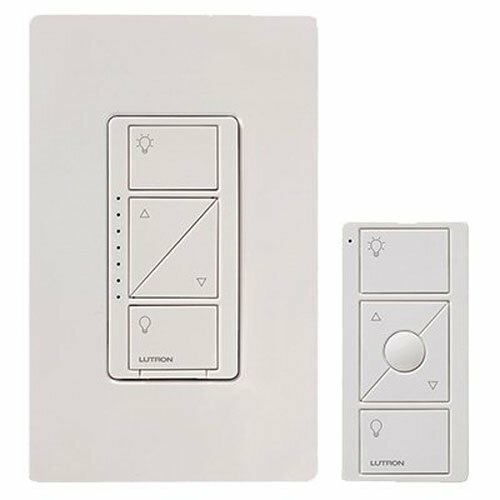 The Lutron Caseta Wireless Smart Lighting Dimmer Switch rings every function to the table than any other switch would, looks great, and has an easy installation process. So, if you’re stuck on how many great switches there are on this page, pick this one. As we mentioned at the top of the page, light switches are constantly seeing some sort of innovation. This leads to you seeing a ton of different kinds of light switches when you want into the store. There’s the standard on/off switch, dimmers, motion sensors, single pole switches, three-way and four-way switches, and plenty more. While they all get the job done, finding the right one for you is what is key. And, speaking of finding you the right light switch, you’re going to find one with a smart light switch. These switches can be set up to work with your existing smart home appliances to bring you a wide range of features that you’ll love. You’ll end up with a brand new appreciation for a light switch that you didn’t even know that you could have. 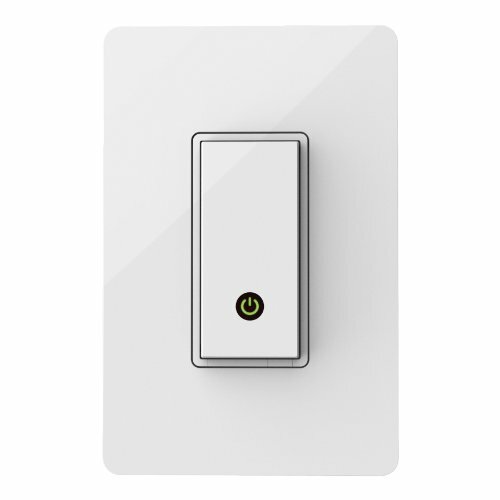 Check out some of the best smart light switch options we have below and you’ll see exactly what we mean. Top Rated Smart Wifi Light Switch – Which one is the Best? 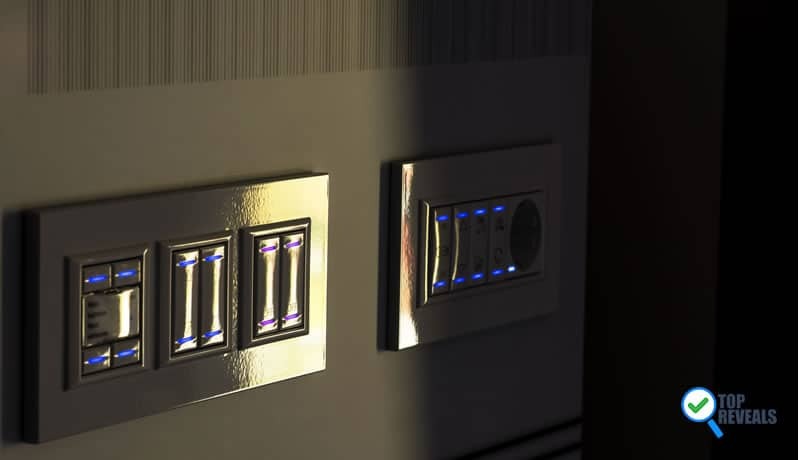 Whether you’re at home or away, this light switch can be programmed for what you need it to do. It can run on a schedule to turn lights on and off whenever you set, adjusts automatically for daylight savings time, and even has a Smart Away feature that can set your whole home’s lights to randomly turn on and off. That means we’re not only looking at convenience but also security for your home! We know you have always wanted to turn off every light in your house with just the sound of your voice like a magician – and now you can. This Lutron product can be voice activated or controlled via remote. Additionally, you can even toggle your lights with your smartphone with the Lutron app installed. All of these options give you ways to not have to get up out of bed at the end of the day just to turn the lights off. That’s enough to love this light switch by itself. Some smart light switches can be a real pain to install. But that isn’t the case for this Lutron switch. 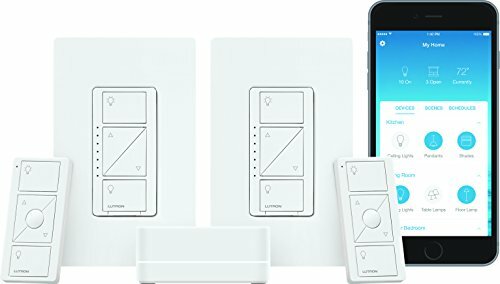 Simply wire it into your existing light switch places and use the Lutron app to get it communicating with the rest of your smart home ecosystem. After you do this, you’ll have a perfectly well-working light switch that can be controlled however you want. You know you have always wanted to be able to yell at your house and have it do what you want it to do! Luckily, now that dream is a reality. This switch is compatible with both Google Assistant and Amazon’s Alexa so that you can control your lights (and other appliances) with just your voice. We know. How cool! You can put your lights on timers with this smart switch to add a level of ease that you didn’t know existed to your life. The smart schedules operate using your home’s WiFi so that you can automatically control your things without even needing to do something. This way, you can cut down on electricity bills and keep your light bulbs for longer since they will be powered off when needed. Is there anything better than being guaranteed that you’ll be happy? Because that is what NewRice is telling you will happen if you own their smart light switch. This 10% risk-free satisfaction guarantee lets you know that NewRice stands behind their product so you can buy without any worries. Of course, you already have existing light switches so you don’t need to be making more holes in your walls. That’s why the minds at WeMo made it so that you can use your current single-pole light switch setups with this switch. All you’ve got to do is wire it up and configure it with the WeMo app. You want to get a smart home product that is going to last so stick with the big guns! This switch is built to work with Amazon Alexa, Google Assistant, and Nest products so you better believe you’ll be a part of the largest smart home communities in the world. As a part of this ecosystem, you’re going to get constant updates with your products and a foot in the door to the future. With a smart light switch, it’s practically a standard that you’ve got to be able to set timers and schedules – and this switch gives you plenty of options in that arena. In fact, the amount of custom options with this WeMo product is pretty outstanding. Between the “Away Mode” that randomly turns your lights on and off while you’re on vacation and the automatic syncing to sunrise and sunset, this switch has everything you need. The actual button setup on this switch is rather interesting yet highly intuitive. It has up and down buttons that can be used for dimming purposes and a couple of buttons on top and bottom to turn the lights completely on and off. Altogether, this creates a quick and easy setup that you’ll appreciate when you want to switch your lights around. The best smart switches can be controlled by voice – and this one does just that. But what is even cooler is that you can use your phone to control this switch, too. Whether it’s through Amazon’s Alexa or your own smartphone, you won’t have to get up just to turn the lights off with this switch. Some dimmer switches have issues with bulbs that don’t want to dim. But this switch is tried and true with testing conducted with over 1,000 bulbs showing vast positive results. For this reason, you can trust that you will get a proper dimmer with up to 150W dimmable LEDs and 600W incandescents. As nice as it is to be able to use your phone as a remote, maybe you want to just have a remote instead. With this in mind, Lutron puts a remote in your hand to give you a more convenient package that you can leave on a nightstand or side table. Using the remote control, you can control as many as 17 bulbs. Yes, 17. That’s probably as many lights are in your entire house so imagine being able to use one controller for your whole home? Lutron gives you this ability and prides itself on giving you consistent performance. But, hey, in case you can’t find the remote, you can still control these switches with your voice or smartphone! That gives you three easy options that make your life way easier and all together create a sweet product. Altogether, you’ll notice a lot of similarities with smart light switches. What we recommend is paying attention to every little detail. Do you want to be able to use your switch through voice? Remote control? Smartphone? Are you looking for smart scheduling? How about an away mode? All of these questions and more need to be answered on your own quest for a smart switch so make sure you are smart about your smart switch! The best smart light switch is out there waiting for you. You just have to figure out which one is your favorite. While all these products are amazing in their own ways, their subtle differences in such a simple piece of technology are what make them individually great. Figuring out which one is most great for you should be what lights your way and we hope we provided a light in the dark for you in this article.